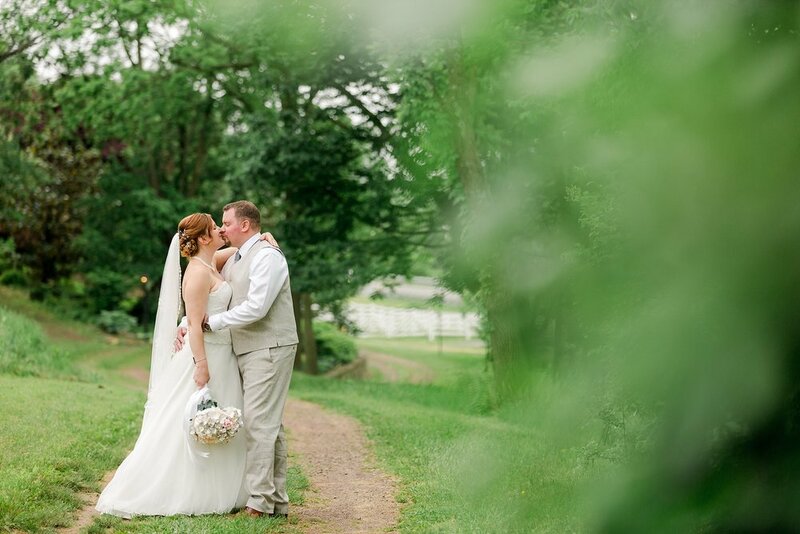 Liz and Justin got married at the historic Bern Farm in Berks County, this Memorial Day weekend. 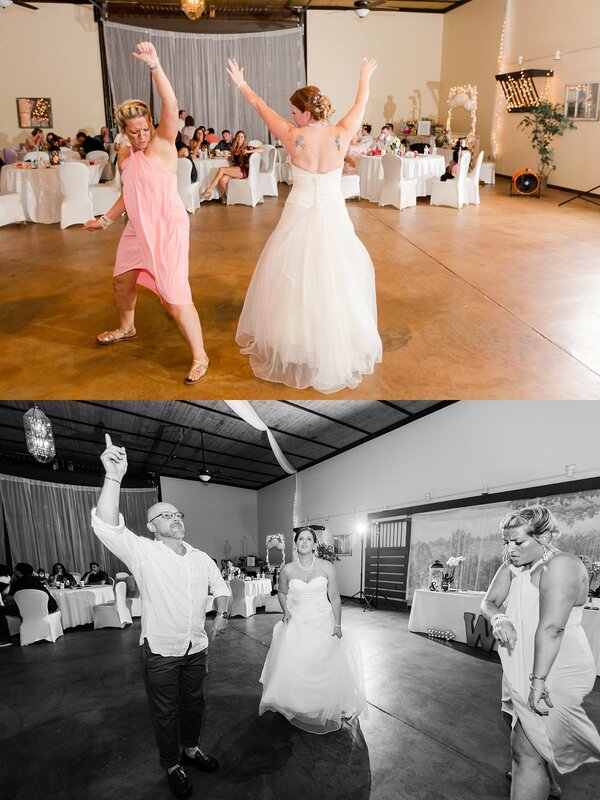 It was a super fun wedding that they put together in only 45 days! Can you believe that!? Their guests were completely unaware that the Memorial Day BBQ they were invited to was actually Justin and Liz’s surprise wedding! As they arrived, guests were treated to snacks, drinks, and entertainment while the couple got ready for the big surprise! 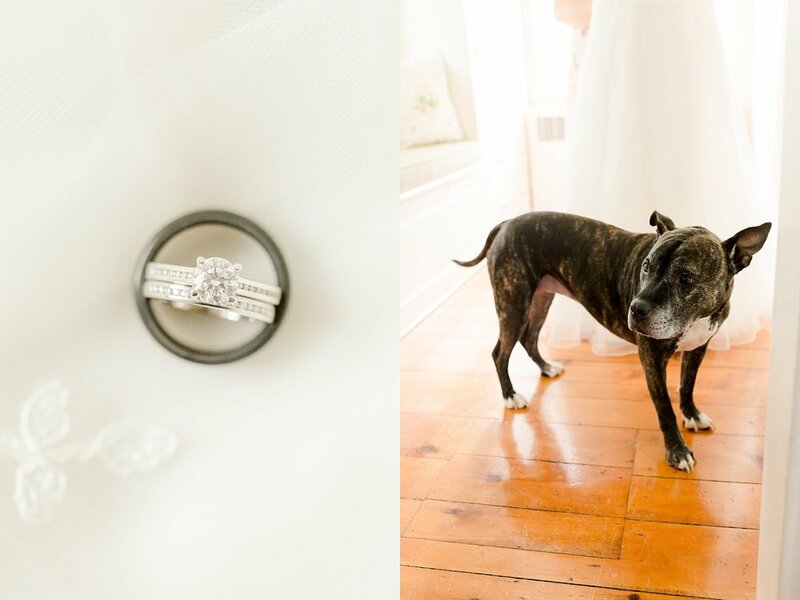 Liz and Justin got ready the Carriage House at Bern Farm with their bridal party, parents, and their sweet pup, Oakley. There was such a happy and relaxed vibe. 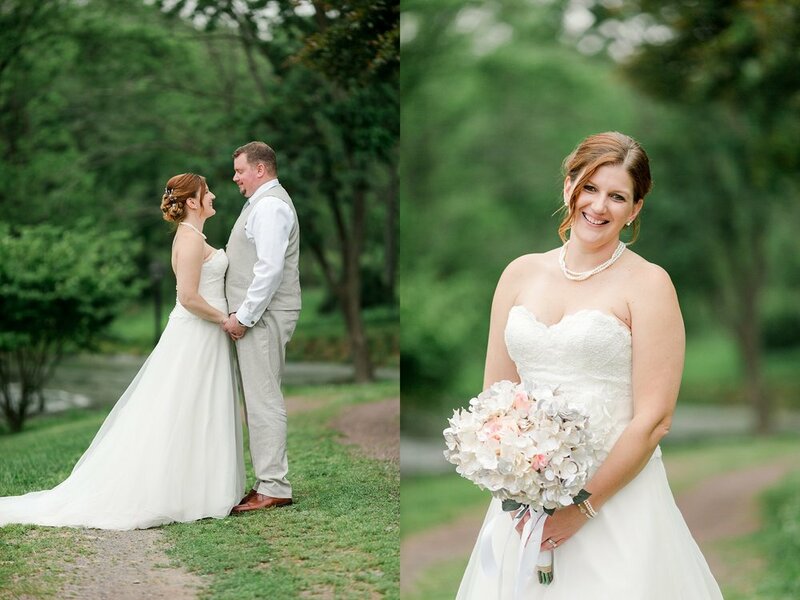 Liz wore a beautiful strapless gown with lace detail accented with heirloom pearls--she looked absolutely perfect! 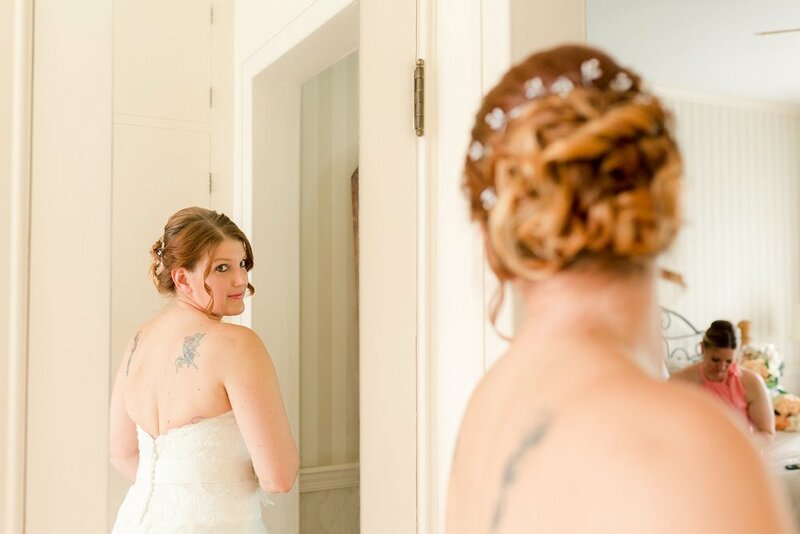 For their First Look, they had a private moment just outside of the Carriage House. You should have seen Justin's face when Liz showed him her blue Converse sneakers! 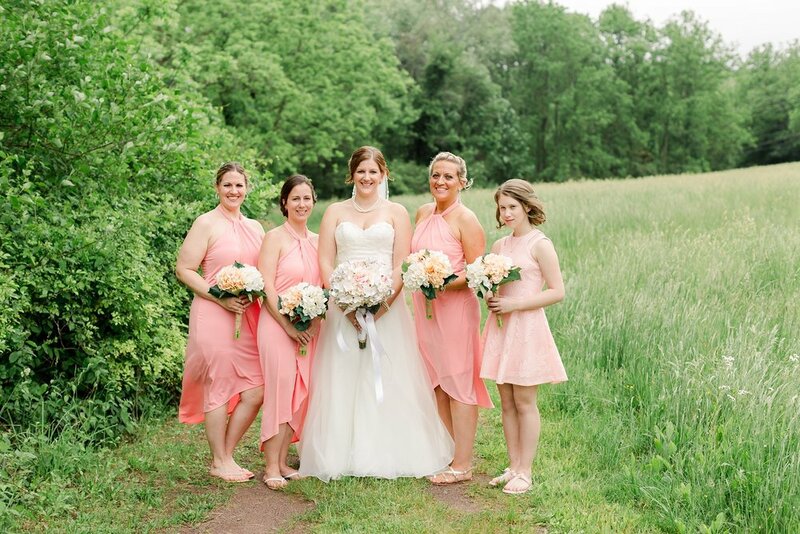 From there, we transitioned to their romantic bride and groom portraits, then joined the bridal party for more formal portraits of everyone all together. 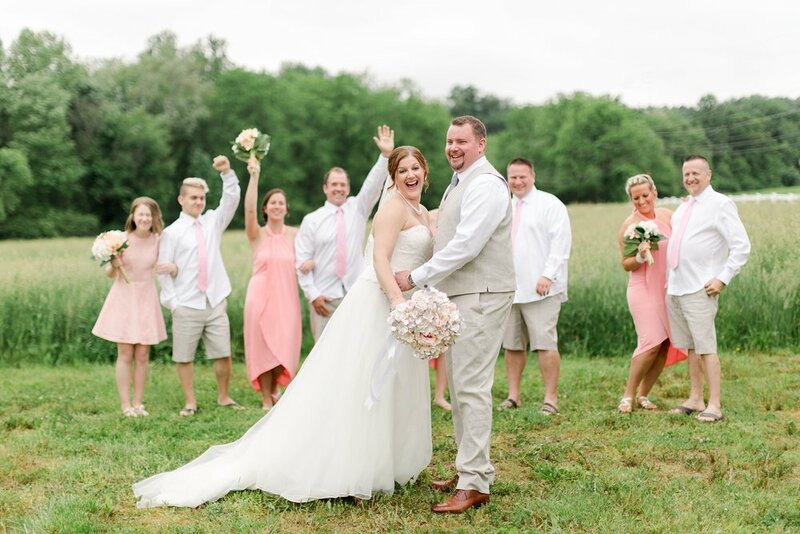 Guests were shocked when a bag piper began playing, creating a processional to the barn where Justin and Liz were surprising everyone with their ceremony! The ceremony took place in the second floor of one of the barns at Bern Farm. The space was lit by fairy lights, which was so perfect, because it made it intimate and cozy. 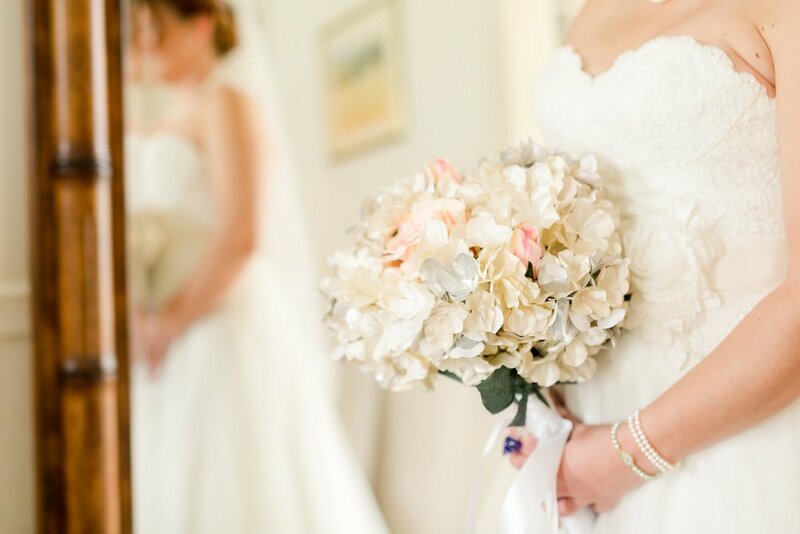 It was a romantic ceremony full of so much love and lots of laughter. After the ceremony, their guests enjoyed cocktail hour in the lower portion of the barn while we captured some formal portraits with their immediate families. It was so lovely meeting all of their loved ones. 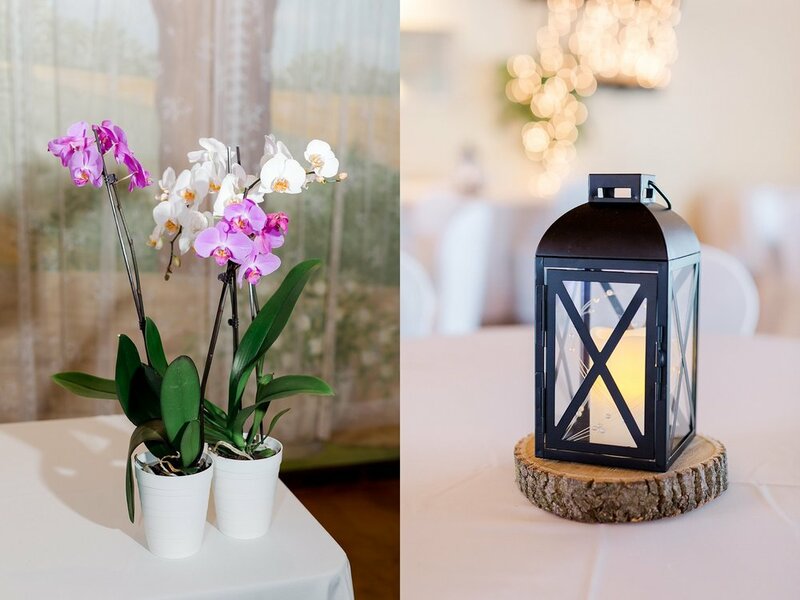 Then, the couple joined their guests for some hors d’oeuvres and drinks, which while the photography team captured details of their reception space. Just wait until you see their wedding cake--it's absolutely adorable and just so them! For the reception, the couple had organized an awesome party and bar-b-que for their guests, and everyone had a blast. 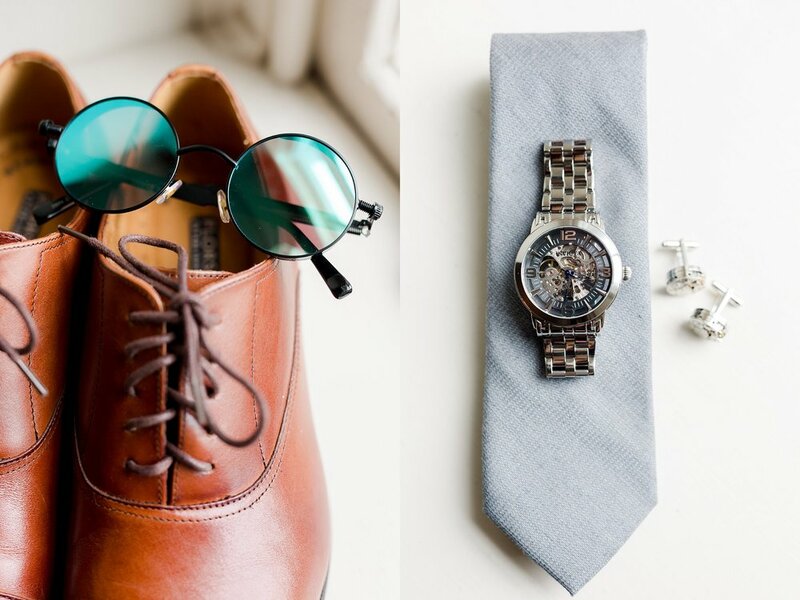 They had their best man and maid-of-honor speeches before dinner, which were the perfect combination of emotional and humorous. After dinner, we snuck away for some more portraits while guests finished their meals, and then evening kicked off with lots of dancing and socializing. The evening ended with their cake cutting, which was just so much fun – Liz and Justin weren't shy at all about getting messy with it! The whole wedding was so unique and such a wonderful event, from the bride’s beautiful dress to the last dance. 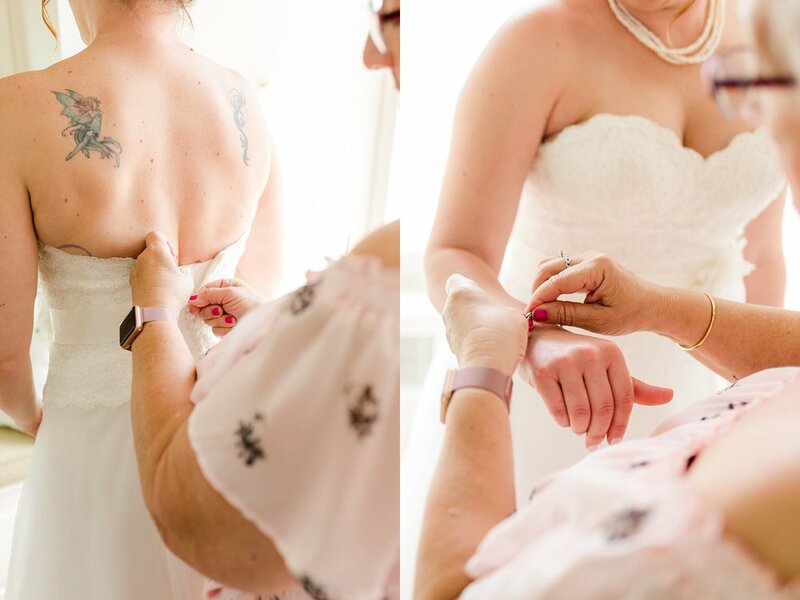 I just loved this wedding so much and am so impressed with how they were able to pull this awesome surprise off! Congratulations, Liz and Justin! Thank you for choosing me to be a part of your special day. 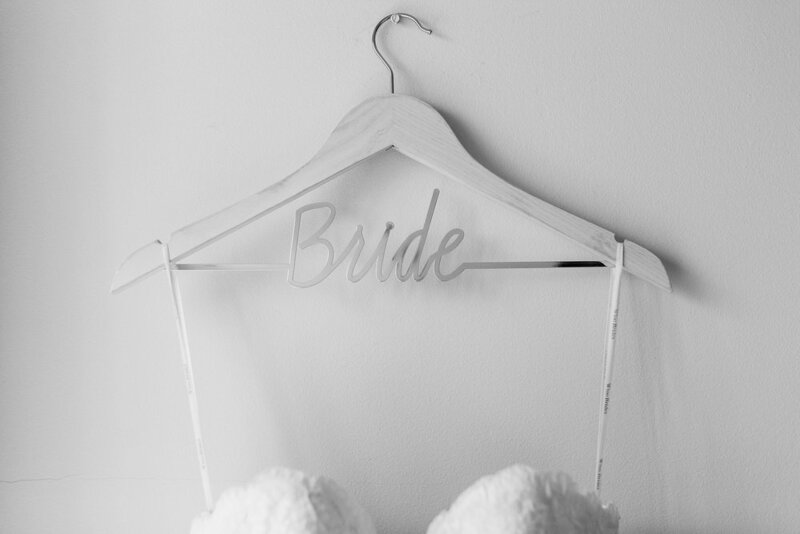 I hope you enjoy reliving some of the highlights from your wedding day!